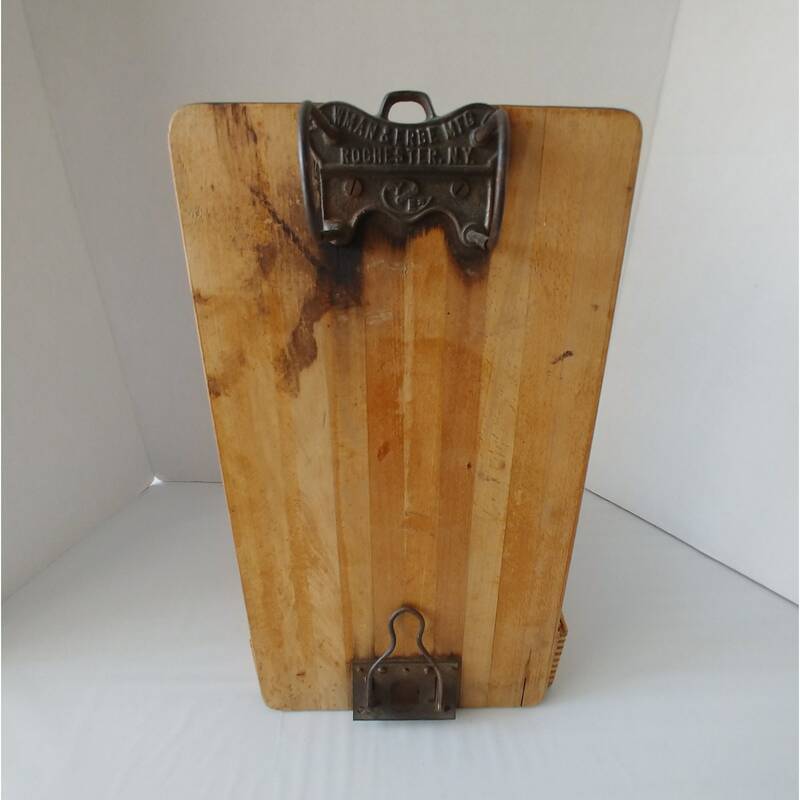 This vintage clipboard was produced in the 1920s. It was made in the USA by the Yawman & Erbe Mfg. Co. of Rochester, N.Y. -- an office furniture manufacturing company. The clipboard is designed to hold sales receipts or order forms with holes that are 3" inches apart with the lockable rings. The bottom clip holds the paper in place. The board measures 17” long x 9.5” wide and is .25 inches thick. The metal fasteners are made from cast iron and the top ring holder features the manufacturer's name and logo. The lovely wood has a wonderfully aged-patina and imperfections from years of use. The fasteners work properly. This piece will add character to any vintage-themed office area.